Attach it once and travel with it forever! The digital baggage tag that will revolutionize the way you travel! It is the first device that continuously tracks your bag around the globe, includes luggage treatment sensors to report rough handling, and a theft alarm if your bag disappears from your vicinity. ​During your journey bagID GO gives you the ability to track your bag, and it even notifies you when your bag is ready to be picked up from the baggage carousel. The built-in luggage treatment sensors will tell you if your bag has been exposed to unwanted, rough handling whilst it has been out of your hands. 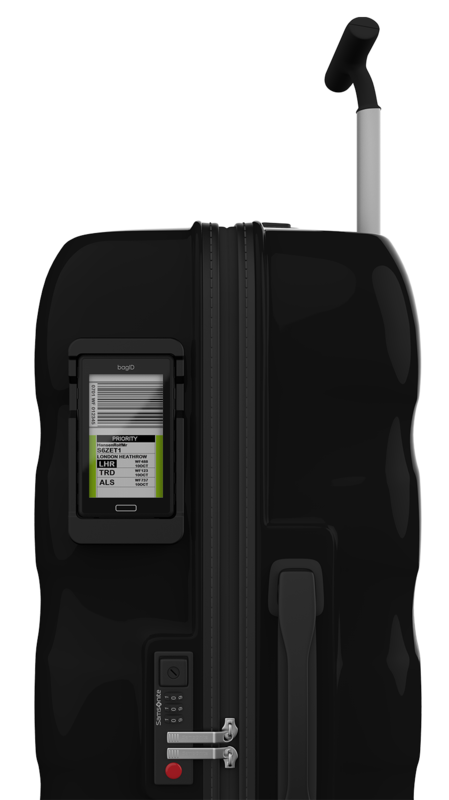 bagID GO replaces the need for paper tags whilst checking in baggage. bagID GO is your next travel companion, giving you an even easier travel experience. ​bagID GO is a breakthrough product, ready to serve all travellers checking in baggage. 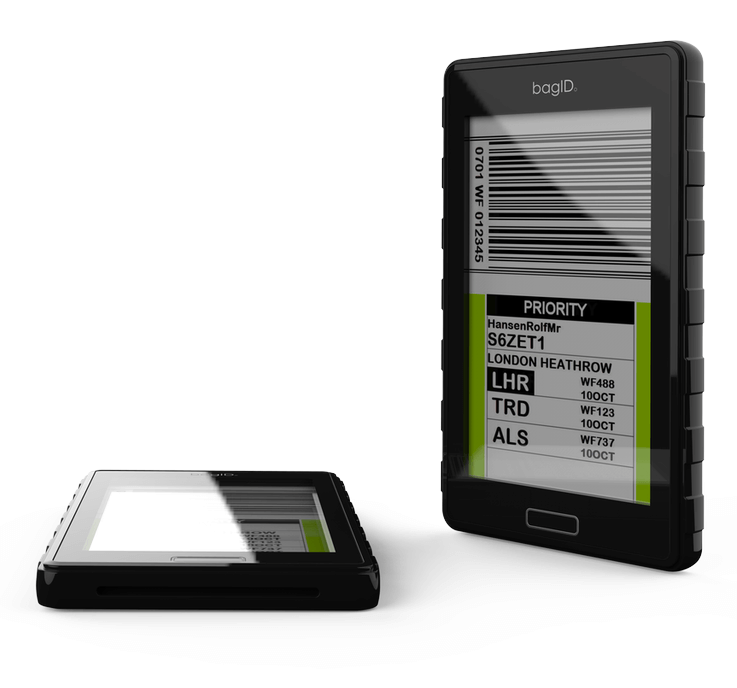 bagID replaces the need for check-in machines and paper tags, whilst checking in your luggage. You can check in from anywhere, whenever you want! With bagID you travel without the clutter of paper tags and reduce the impact of paper waste in the world! For instance, if your baggage is misplaced, lost or has arrived on the baggage belt, you will be notified in the bagID app.